Ah! We all seek to have eternal youthful and glowing skin. As we age its hard to stop the process, however, we can delay the signs of ageing, the right diet and external skin care products can help you achieve a healthy glowing skin. I love using light weight, not strong on fragrance, yet mild enough to help me get that glow and skin feel rejuvenated! There are a ton on brands out there in the market. It is better to know your skin before you venture onto buying expensive brands. I mostly conjure up a couple of home made recipes as part of my skincare routine. However, effective they may be, natural products and its sourcing and preparation is time consuming and gets messy. A healthy diet along with the right skin care routine can help you look younger. I am a big advocate of using sunscreen no matter what time of the day. I mix it up with my moisturiser. A good face cleanse and toner are a must as well. The right anti-aging cream helps keep the collagen renewed too. I am a big fan of Himalaya skin care range and recently attended the launch of Himalaya Youth Eternity. We had Dr Chytra, Founder & CEO of Kosmoderma who provide us with useful insight into the signs of ageing and care. Did you know the skin starts showing signs of ageing as early as 25? 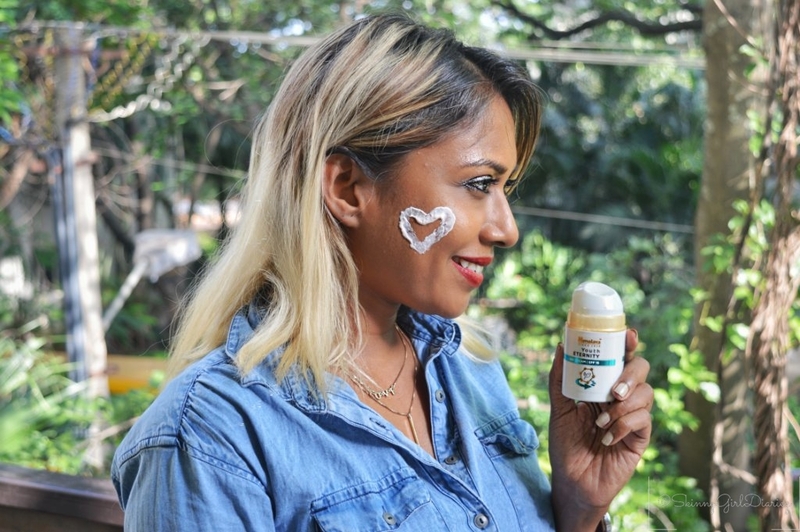 Himalaya have focused a lot of the R&D and testing of their latest skin care range. The launch included three basic skin care range to suit anyone’s skin. With dedicated application of over 4 weeks, the product begins to show results. The magic ingredient that has helped create the base for the formula is stem cells from the Edelweiss Plant found in the Swiss Alps. Edelweiss has proven antioxidant, anti-aging, and skin conditioning properties. These skin care range, have been enriched with additional herbal and natural ingredients like Rose Myrtle, Fire Flame Bush, Woodfordia and Cipadessia Baccifera. The above ingredients, promise to keep the skin hydrated and remain elastic, giving one a more youthful glow! Himalaya Youth Eternity promises, a more healthy looking skin that leaves it soft and supple, definite increase in radiance. The added benefit to using all three is reduced fine lines, wrinkles, age spots, pigmentation and crow’s feet. Significantly improving skin elasticity, hydration and an even skin tone. The packaging for the day and night cream is sturdy and comes in an off-white branded pump bottle. The sleek hand-sized pump-out bottle is perfect. No more spillage and greasy mess. They come in three sizes 10ml, 20ml, and 50m for both day and night cream. See below for links and where to buy. The packaging is great to carry along for travel. As guilty as we all are of skipping our most wanted sunscreen. The Himalaya Day cream comes packed with SPF 15. It is advisable to add extra SPF. I use SPF ranging from 30 to 50 based on the location and weather. Day creams usually tend to interfere with makeup and leave the skin oily. After having tested this product, I can say its more matte/ creamy finish, blends and soaks onto the skin, and goes well with any foundation of choice. The fragrance is not overpowering, mildly scented while applying and fades away. The colour of the day cream has a pink tinge. Very light and blends fairly quick. Night is when the entire body switches onto repair mode. The Himalaya Youth Eternity Night cream has become my bed time routine, this last week. It comes in a similar pump packaging as the day cream, but with a green pump out top. Just a single pump is enough to ensure skin rejuvenation and you have no wastage or spillage. The ingredients are similar to that of the day cream, yet the texture and consistency is much richer and thicker like a cremé. The cream again is mildly scented, as soon as you massage onto your face it fades. Ensure to remove all residue makeup and deep cleanse before applying the night cream to get optimal results. This cream soaks up fast, so massage gently onto face and neck and you can hit the hay soon after. I have noticed off-late due to late nights and few hours of sleep have left my eyes looking tired. Puffy and dark circles are the worst when its the main feature of the face. Since I began usage of the eye cream. I noticed the difference, the puffiness has reduced to an extent. The Himalaya Youth Eternity Eye cream comes in a gel like consistency which is ideal for the delicate under eye skin. Use your ring finger to dab and gently massage the under eye area and around your eyes. It is cooling and you feel refreshed. For added effect I usually keep my eye creams in the refrigerator. Again this product soaks up very quickly so its easy to apply along with your makeup. Best to reapply twice for added effect! It has only been a week or so since I began using all three products. From the various reviews out there, these three products are surely catching on. They make the skin soft and supple, definite increase in radiance. So far I have to say, it has left a visible change. I do not have any wrinkles yet so, cannot vouch for it, but rest if you are looking for a glow and healthy looking skin, it does what it says. I will continue to use and share the update post the 4 week mark. I have not had any breakouts yet, so I can highly recommend this for sensitive skin. But worth to do a patch test first. Have you tried the Himalaya Youth Eternity range yet? Leave your comment below, would love to hear about your experience. © 2018, Skinnygirldiariez.com. Lifestyle blogger in Bangalore, India. All rights reserved. Do not copy and reproduce text or images without permission. **Disclaimer: Even though the invite & products were complimentary, all images and views expressed are my own. You must, this one is herbal so its mild and I love less chemicals thrown into my face anyday! I think the best way to prolong youthful skin is to find something thats right for your skin before you start shriveling up! if you start using stuff like this early on you can have youthful skin longer not just make already there wrinkles less pronounced. A good skin care routine is important if you want to slow down the aging process. These look like nice products. You are right, natural ingredients help a lot,so far week 3 and it its given my skin a nice glow. This is my first time to hear about this product but it seems like a nice product to try as they said that it only used natural ingredients. I will check this out and will see the result after using this. I honestly love discovering new skin care products, these look great. Thanks for sharing your thoughts on the product, I’m going to show my wife this, she is looking for something like this! I just turned 40, and my skin can use all the help it can get! I’m always in search of new products. I’ve been looking for an anti-aging product that doesn’t cause breakouts! Thanks for the detailed review. Your skin looks incredible! These beauty products seem great and love ur review. I like natural products too never heard of these but thanks for the info. These products look amazing! Thanks so much for sharing! These look like such good products. Skincare is so important so I think investing in quality products is super important. It looks great products! I love natural ingredients because of being natural is good effects. Very detailed and helpful review. I too like using Himalya products as they are natural and effective. I personally prefer a clean, glowing skin rather than any sort of makeup. I’ve never heard of this brand, thank you for the inspiration. I love the ingredients I see. I love the way you explained everything in details and the pictures are just so good.